In September of 1995, the United Nation’s Fourth World Conference on Women convened in Beijing, China, and produced a groundbreaking blueprint for women’s rights: The Beijing Declaration and Platform for Action. Adopted by 189 Member States, the Declaration was a framework for achieving equality and empowerment for all women, including rights to education, health, freedom from violence, and equal pay for equal work. 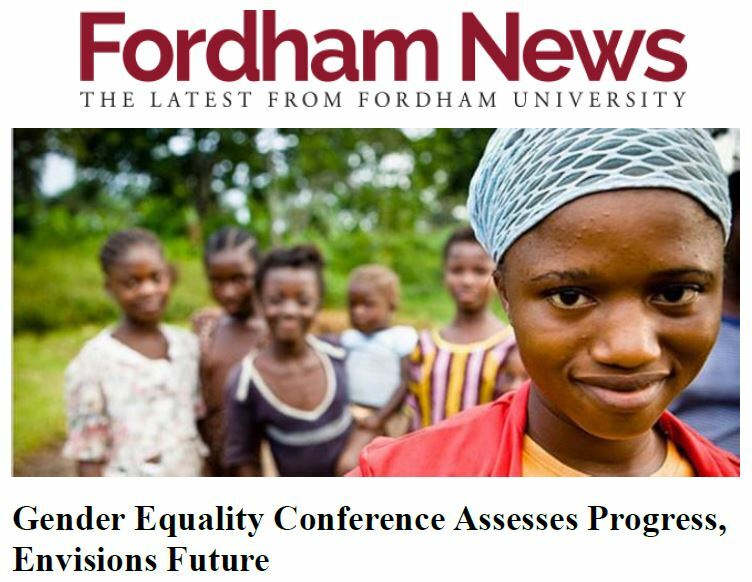 Inclusive in spirit and timely (March is Women’s History Month), the conference comprised professionals, academics, and students. Co-sponsored by the GSS’ Institute for Women and Girls, “Looking Back, Looking Forward” coincided with the UN-sponsored Beijing+20 conference, both events seeking to consider the progress achieved over the last 20 years and focus attention on areas where change is still needed. Hoskins’ sentiment was echoed in the panels that followed, which addressed two major themes—economics and health. The discussion covered such topics as workplace inequalities, career development across the life cycle, equal access to technology, family planning and fertility, sexual violence on college campuses, health issues for older women, and combating ageism. In assessing the work to be done, Hoskins provided a rallying call for the future. “We have to. . . be vigilant and ensure that the spirit of Beijing lives on and continues to unlock the enormous potential of women and the contributions women make to their societies all around the world,” she said. Joanna Nappi, a Fordham graduate student in social work and a youth representative at the United Nations, gave a talk, “Bridging the Digital Divide with Women and Girls.” One organization helping to bridge that divide is Close the Gap, an NGO based in Brussels, Belgium that provides refurbished computers for medical, social, and educational projects in developing and emerging countries. Nappi said one of Close the Gap’s most important new resources is the digitruck, a solar-powered computer classroom that brings technology to marginalized areas. According to her, bridging the psychological gaps that result from the lack of access to technology is just as important as bridging gaps in infrastructure. “Feeling connected, capable, and empowered enables one to not only utilize and implement new knowledge, but take ownership over one’s life and environment, weakening barriers of discrimination and expanding one’s potential,” she said.